Age 79 of Portsmouth, passed away Friday, October 26, 2018 at SOMC. She was born February 1, 1939 in Portsmouth to Hobart and Myrtle (Snyder) Johnson. A 1957 graduate of Valley High School, Martha worked for 15 years as a clerk in the sporting goods department of Harts Department Store. She was very knowledgeable about computers, enjoyed Bingo, swimming, watching football, and was known as a great cook. 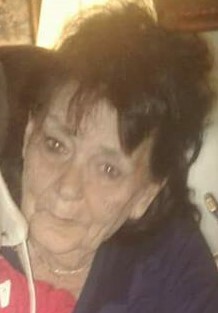 She is survived by her sons, Dan (Rhonda Picklesimer) Plummer and Mike Plummer (fiancée Megan Malone), both of Rosemount; daughter, Debra (John) Petrey of Stuart, FL; sisters, Mary Brandenburg of Portsmouth, Agnes Lawson of Jackson, Helen Entler of Rosemount; five grandchildren; six great-grandchildren; one great-great-grandchild. In addition to her parents, she was preceded in death by nine brothers and sisters. Funeral services will be held at 7:00 p.m. on Tuesday, October 30, 2018 at D.W. SWICK-NELSON FUNERAL HOME in New Boston with Pastor Mark Bales officiating. Friends may call from 5 – 7 p.m. prior to the service. Fond memories and expressions of sympathy may be shared at www.DWSwickNelsonFuneralHome.com.